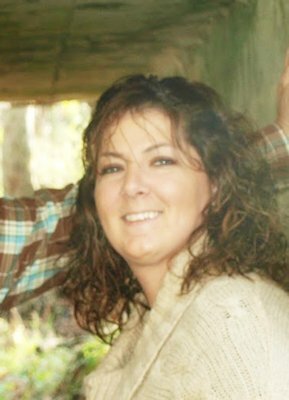 Meet your neighbor, Maggie Link of rural route Blandinsville. Maggie is the daughter of Don and Jackie Terrell of Blandinsville and live in a farm house that has been in Jackie s family for over 100 years. Don retired last winter and Jackie works at First State Bank of Illinois in La Harpe. Maggie was born on March 30, 1980 in Macomb and was raised just 5 miles from where she currently lives. She graduated from Northwestern Junior-Senior high school in 1998, then attended college at Carl Sandburg where she played softball for one semester. She received her property and casualty insurance license in March 2008 and her health insurance license in November of 2013. Maggie married Michael Link in March of 2005. Mike is from the La Harpe/Stronghurst area and has lived here his entire life other than his time serving our country in the United States Marine Corps. He works for Kane Farms in Rural Roseville. Mike and Maggie have two boys, Brayden, 11 and Wyatt, 9, which both attend West Central Schools. Maggie has two sisters, Jenny and Katie. Jenny Terrell Brush lives in Wataga and has two children, Madison, 17 and Miles, 13. Jenny is a paramedic with Galesburg Ambulance Services. Katie Wisslead lives in Good Hope and is married to Darin Wisslead. They have a son Keaton, age 9. Katie owns and operates Route 67 Café in Good Hope. Maggie works at Jones Insurance Agency in La Harpe as an Insurance Producer /CSR. She has been there for 7 years this month. Before Jones Insurance, Maggie had worked as a C.N.A at a few different nursing homes in Iowa and Illinois.